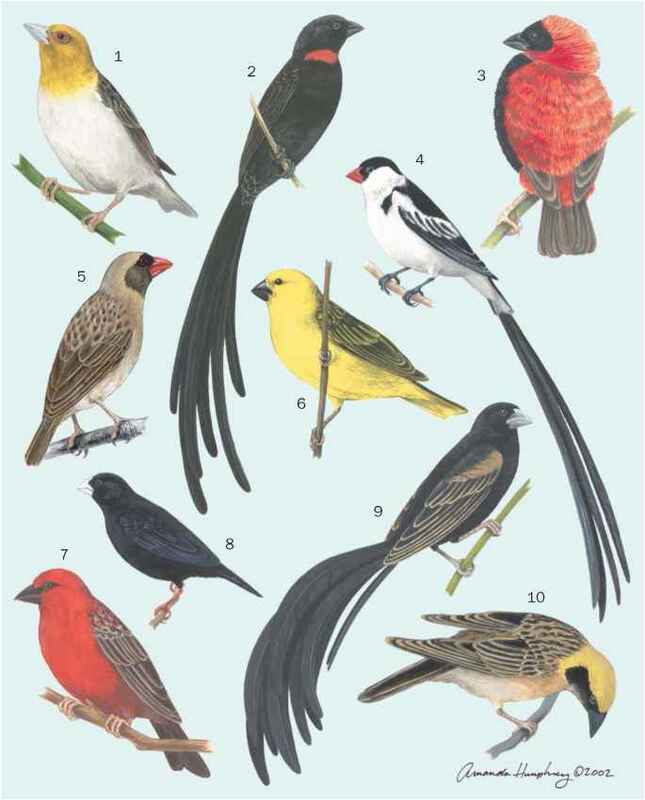 English: Wing-barred seedeater, black seedeater; French: Sporophile variable; German: Wechselpfaffchen; Spanish: Semillero Variable. 4.2-4.5 in (11-11.5; cm); 3.5-0.4 oz (10-11 g). Sexes differ in color. Males from Mexico to Costa Rica are black with white at the base of their primaries; males from Costa Rica to northeast Peru and Amazonian Brazil are highly variable, with white on the throat and side of the neck, a black chest band, and a white belly and gray rump (and in some places in South America two thin white wing bars). Females uniformly olive-brown. Juveniles resemble females. 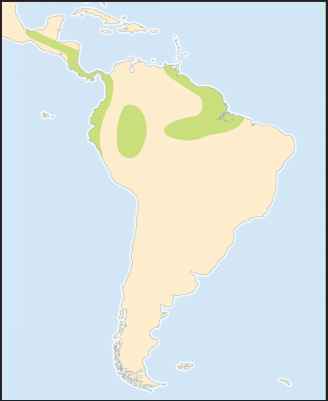 Sporophila americana | Resident east to northeast Venezuela; A. a. corvina resident from eastern Mexico south to western Panama. Second-growth scrub, weedy fields, woodland edge, and secondary forest. Males sing from a bush or a tree, usually from a low perch. When not breeding they occur in small flocks in which young birds and females usually are more common than males. Feed almost exclusively on grass seeds. They sit on grasses and pick seeds from grass heads; sometimes they fly to a grass head and bend it to the ground, making feeding easier. They also feed on grass growing in water well away from land. Monogamous. The nest cup is low to mid-level in a bush. Commonly two, but occasionally three, eggs are laid during the time of year when their food is most abundant, which varies seasonally and geographically. The incubation period is about 12 days; young fledge after 11-13 days.